Plot: A killer is on the loose and murdering women throughout Europe. Since his murders have occurred in different countries and the individual police forces refuse to talk to each other, the killer has been able to roam free. In order to catch this continent spanning madman, Major Louis Daniel (Marc Lavoine) creates a special International Criminal Court (ICC) crime unit with former NYPD Detective Carl Hickman (William Fichtner) at the helm. Together, this small group of law enforcement each with their own individual skills set out to end this string of murders before anymore women meets an untimely end. The sudden influx over the past broadcast year of major film stars moving to the small screen is definitely notable. This all started out back in September 2012 when Vegas premiered on CBS starring Dennis Quaid in his first television role. It was shortly followed by Kevin Bacon in FOX with The Following which will return for a second season in 2014. NBC continued this trend with Laurence Fishburne in Hannibal, but the Matrix star already had some television experience under his belt. Bringing in a well known actor can easily boost a show’s appeal to a wide audience and can sometimes even keep it on the air for an extended period of time. This doesn’t always work however with Vegas ending after a season, but considering how both Hannibal and The Following are coming back it certainly doesn’t hurt to have a major actor on your roster. Crossing Lines decides to take this concept a step further by not only bringing in film star and future villain to the Teenage Mutant Ninja Turtles, William Fichtner, but also legendary actor Donald Sutherland. Both of these famous names have had major television roles in the past so working on an episodic show is familiar territory for them. So how is NBC’s new star-power infused crime drama? Does it bring something different to the already saturated genre, or does it fall flat despite its major billing? The premise behind Crossing Lines is easily a strong spot for the show, helping it stand out from other crime dramas like Law & Order and CSI. Yes, Crossing Lines is about murderers and law enforcement using fancy technology and smarts to find them. What’s different about this show however is that it’s not explicitly centered on one singular location. It doesn’t just cover a major city like New York City or Miami. It’s meant to cover the entire continent of Europe which is where the term “Crossing Lines” comes from. The criminals this ICC’s special crime unit fights are those that freely move between countries under some type of assumed identity. Because of this, the individual countries can’t track them. Authorities in England can’t freely hunt down a murderer in France for example. To subvert country lines, the special team is formed of people from all around Europe (and North America) each with their own specific set of skills. As Carl so aptly described, they are like the “Justice League.” So already this show is something different in this already immensely saturated genre, which works highly in its favor. The show also initially premiered in Italy and is filmed throughout Paris, Nice, and Prague, something you don’t always see on a primetime network in The United States. I really did enjoy watching this team of super cops working together. Fichtner does an excellent job as formerly retired officer Carl Hickman as well. Considering how cliché his role is (injured cop, off the force, only person with a special set of skills to finish a job. Where have I seen this before? ), I’m happy with Fichtner’s ability to really pull you into his character’s personal turmoil. His injury and apparent drug addiction reminded me heavily of Hugh Laurie’s Dr. House, but thankfully it looks like the drug problem is already gone in the premiere. It’s something we’ve seen before and I’m not looking for a cop version of the crippled doctor. 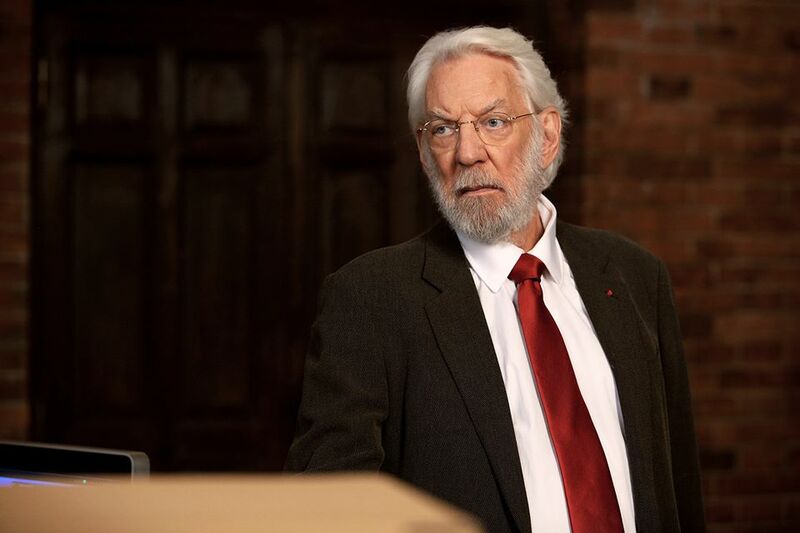 As for Sutherland, he was great in the role he was given as Michel Dorn, a member of the ICC who works closely with Louis, but his character was severely underutilized. The commercials leading up to the show were touting Sutherland’s involvement with the program much more than Fichtner, but the latter is the real main character with the former in a very background role. It was a little misleading to see Sutherland’s name everywhere when the real focus should have been on Fichtner, who is very recognizable in his own right. Hopefully Sutherland will get some more time in the spotlight with future episodes. As for the rest of the team, they each brought their own personal qualities that made them stand out from each other. While the premiere episode focused on the team trying to rescue Anne-Marie San (Moon Dailly), I feel that the real star of the team (outside Fichtner) was Tom Wlaschiha as Sebastian Berger. Fans of Game of Thrones will immediately recognize Wlaschiha as the Faceless Assassin Jaqen H’ghar from Season 2, and his role as the tech-expert Berger was really cool. It seemed as though he was the one who actually brought something more to the table other than physical strength and abilities to fight crime. He can do everything that everyone else can, expect he also wields fancy forensics scanning technology and knows a lot about where criminals will likely be found. The scene where the team was used the virtual forensics scanner to find any witnesses from the crime scene was cool to watch, but considering that they used it to find someone they already met and spoke to extensively, I can’t help but think it existed solely for the cool factor. We also got some extensive backstory into a lot of the characters throughout the team, to the point where it was overloading. It’s almost as if the writers wanted to cram a full season’s worth of discovery into a two hour Series Premiere. It all starts the moment Carl meets his team and they automatically dictate his history with the NYPD and why he left following his injury. Why the leader of a European based team has to be from New York, I don’t know, but I guess the show wouldn’t be airing on a major United States based network if that wasn’t the case. Then we have Major Louis Daniel who has his own personal turmoil with his family that was basically forced down our throats. This entire team is trying to find this one criminal, but the guy that put them together is clearly focused on other problems. The scenes between him and Michel were great in that they provided some nice character detail to Louis and his past, but it felt rushed and out of place in this premiere. It really took away from the real story of finding the killer and where he took Anne-Marie. The scenes between Tommy McConnel (Richard Flood) and Sienna Pride (Genevieve O’Reilly) felt equally rushed and frustrating. Every person on the team was paired up with another agent with Tommy and Sienna working together. Instead of doing a lot of work, the majority of their scenes were about them talking about their pasts and why they are/are not compatible. There’s also obvious romantic tension between the two, which was bizarre considering how this was their first time working together. In the course of these two episodes, Tommy and Sienna charted the course that other television couples do over an entire season or several seasons. They went from co-workers, to personally connected friends, to sharing backstories and histories, and even the “almost kiss” that always finds its way into fiction. It was this suddenly rushed romance and focus that I pegged one of them to die at some point in the premiere, and sure enough Sienna was stabbed by the killer. Her character and her relationship with Tommy was so forced that I didn’t even have time to care about her or her history. It’s almost as if the writers were afraid the show was going to end any second and they wanted to shove everything in as fast as possible. 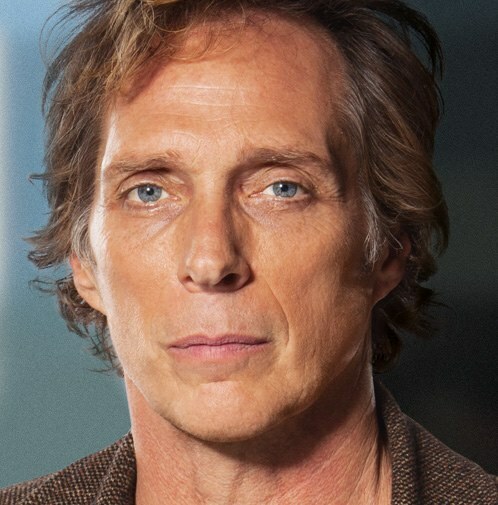 Crossing Lines is held up by a fresh premise and strong acting by its lead William Fichtner. The hunt for their first killer was engaging and full of unexpected twists and turns. However, this Series Premiere suffered greatly from its apparent desire to throw everything at the viewer at once without much care. I found myself choking at times on the dearth of character information and rushed romance that was being thrown at me. Crossing Lines has potential to be something truly special from NBC, but it needs to give its characters time to breathe. Let the development come naturally with the story and don’t force it upon the viewer. It just leads to frustrating television.